All Day All Night Pass is suitable for traveller who want to spend day and night enjoying Chao Phraya River. 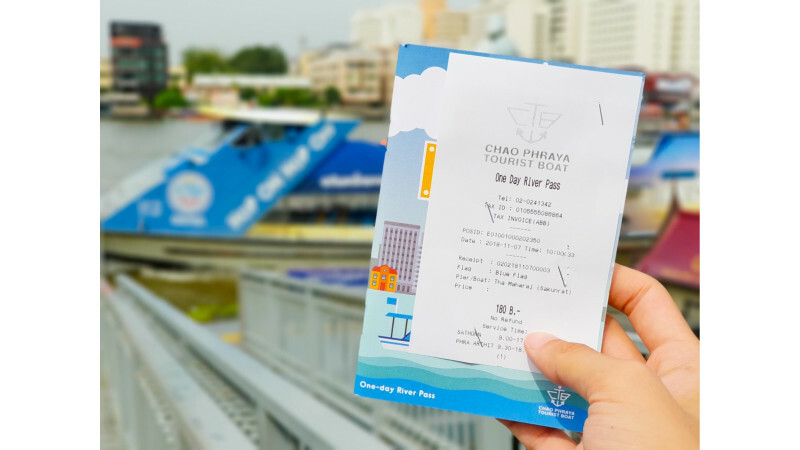 It can be used during 09:00-20.30 hrs and is for boarding on Chao Phraya Tourist Boat (Blue Flag), the most convenience and reliable boat service to explore Bangkok. The price is only 300 Baht with special discount when purchasing online! Boat leaves Sathorn and Phra Arthit piers every 30 minutes. From 16:00-18:00 (from Phra Arthit) or from 16:30-18:30 (from Sathorn), boats extend their routes to Asiatique as well. 1. 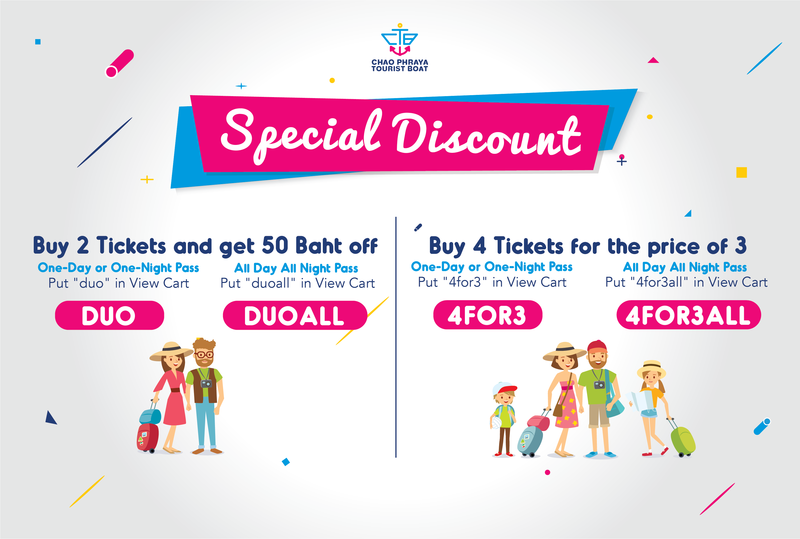 Please be informed that you are able to exchange the e-ticket to the real paper ticket with the travel guide at Sathorn pier (connecting to BTS Saphan Taksin) or Tha Maharaj pier only. The e-ticket is not valid to use for boarding. 2. The e-ticket is valid for 90 days after the online purchase date. 3. This e-ticket cannot be refunded or exchanged into cash. 4. Children under 90cm are free of charge, children with the height of 90cm and over are required to purchase the ticket at the same price as adults.